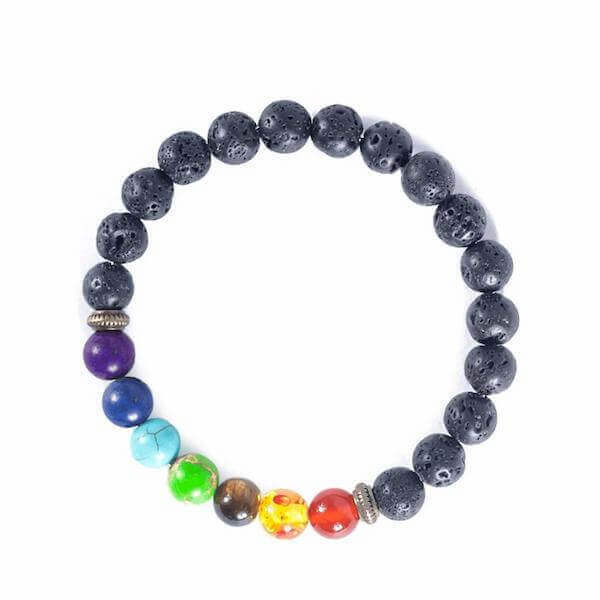 Chakra bracelets can be worn by anyone regardless of gender or age. 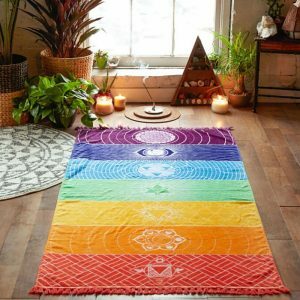 They contain the seven colors of the rainbow which represent the seven chakra energy centers. 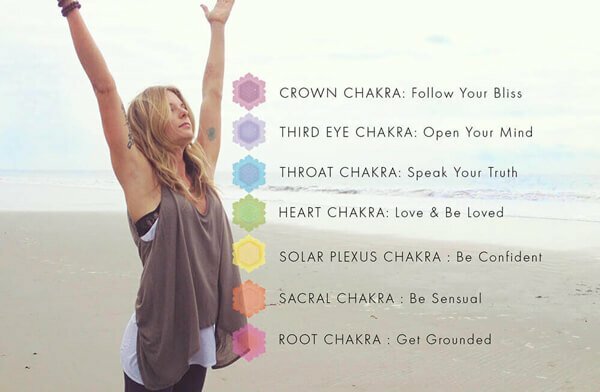 Chakras reside from the top of the head to the base of the spine. 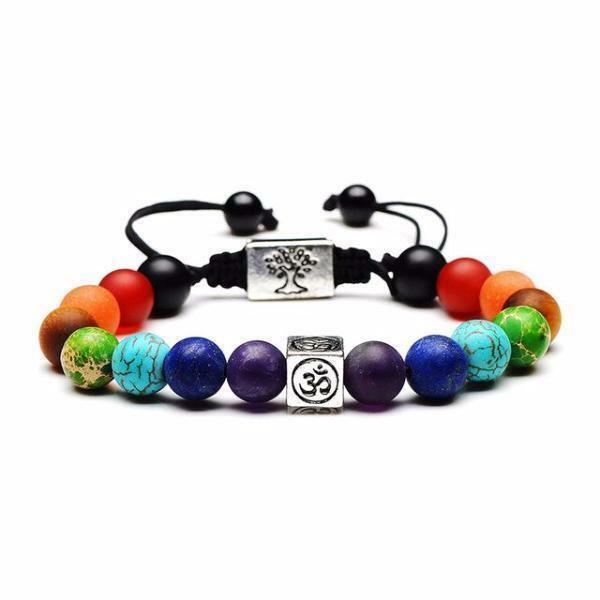 It is believed that Chakra bracelets have healing powers. 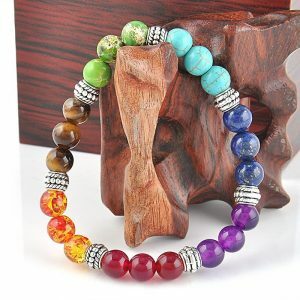 These bracelets restore energy and balance to these centers. 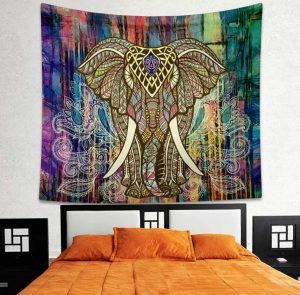 They are made of various materials which include crystals, beads, sandalwood, etc. 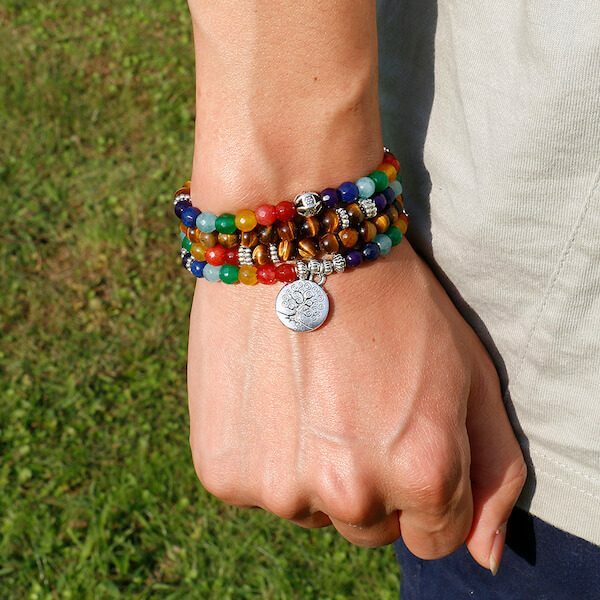 The seven energies in the bracelet are base, brow, sacral, crown, heart, throat and solar plexus. The bracelet should be cleansed and energized to give it special powers. Important Caveat: Chakra healing bracelets that do not undergo this process do not work. Getting the most out of the bracelets require the wearers to be keen on how they work and how they are worn. 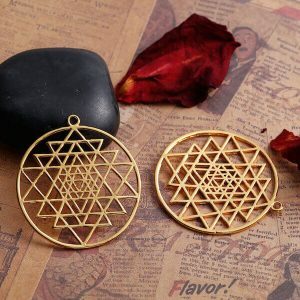 The healing process is done through crystals and natural stones(charms). 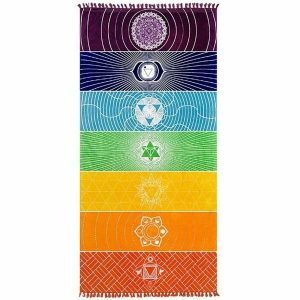 Every Chakra contains color and vibrational frequency which is similar to the frequency and color in the crystals. 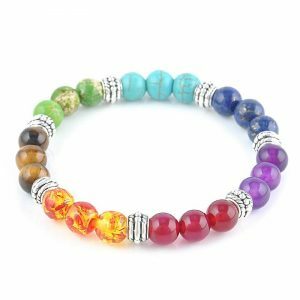 Vibrational frequency and the color scheme of the crystals are used in pairing each Chakra with specific stones in the bracelet. 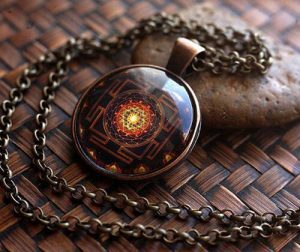 This makes the crystals to influence a person’s energies through the vibrational frequency which is aligned with each Chakra. 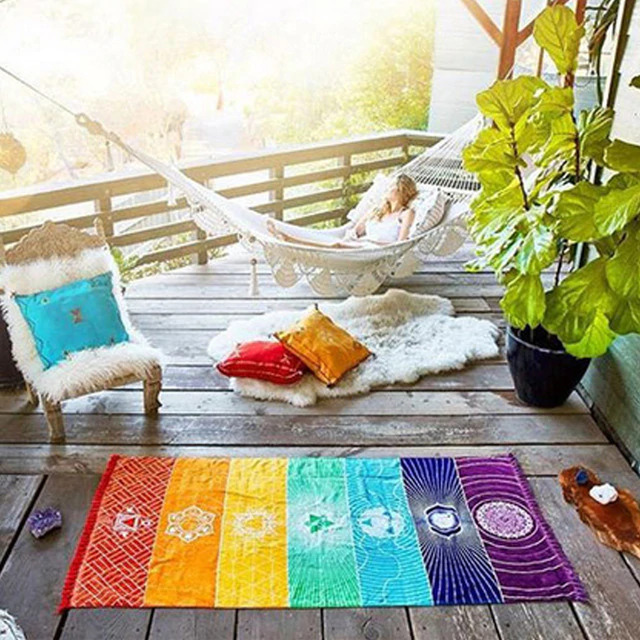 The crystals emit energy that activates and revitalizes a particular Chakra. This recalibrates an individual’s vibrational frequency which results in better health and well-being. 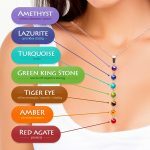 The crystals present in Chakra healing bracelets, therefore, make it convenient and hassle-free for human beings to take care of spiritual health. 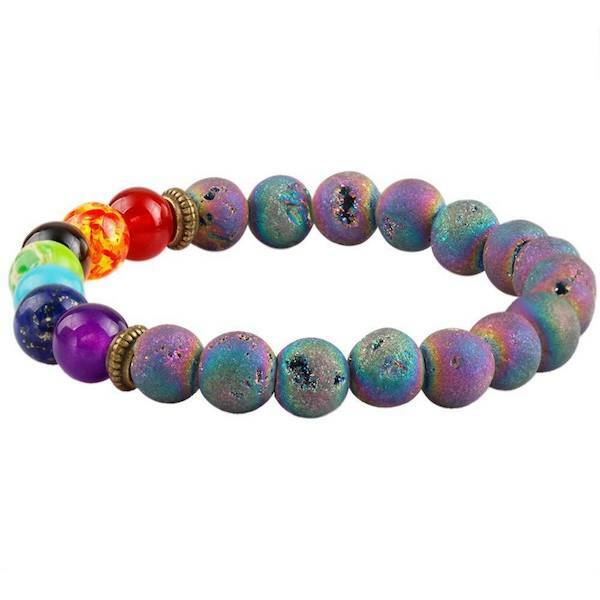 The bracelets also influence the aura and energy of a person by focusing the mind and emotions positively. They normally act as distractors to distressing situations in a positive way. 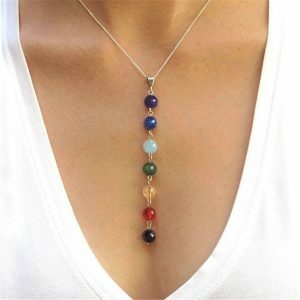 Wearing a chakra stones jewelry acts as a constant reminder of areas of life that require healing and improvement. This is its meditative function. The wearer should have faith in the ability of the bracelet to heal. It has a huge impact on how an individual faces traumatic events when they occur. It, therefore, helps an individual to shift from negative feelings to positive ones. 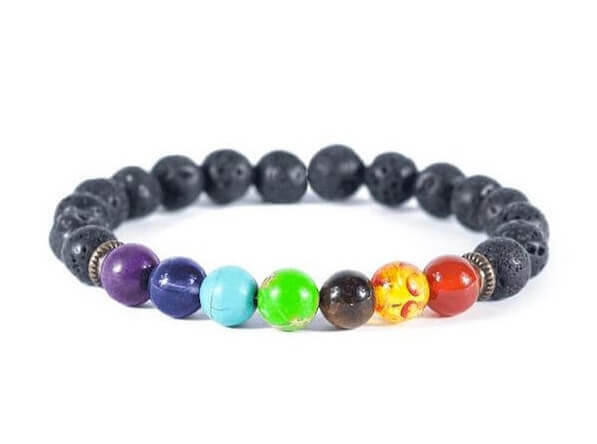 It is not a must that one should be undergoing any problem to experience the healing factor of 7 Chakra beads bracelets. 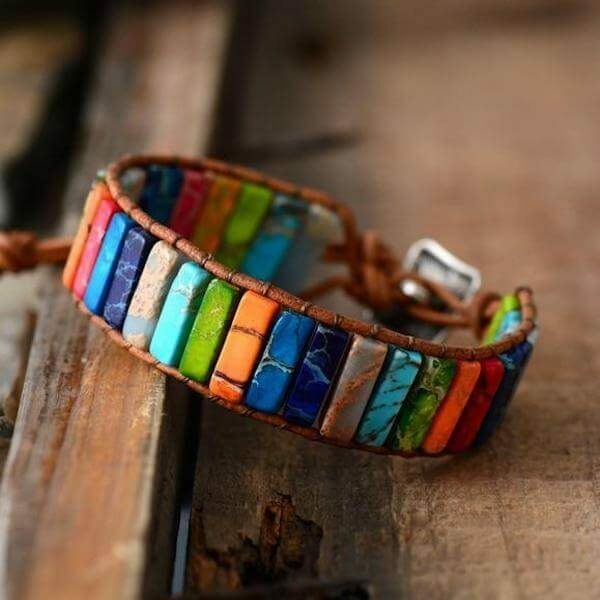 The bracelets, if worn without any healing intentions, can still add a lot to your overall life energy, and improve your emotional focus for the better. Some people wear them purely for aesthetics because they can match any outfit. 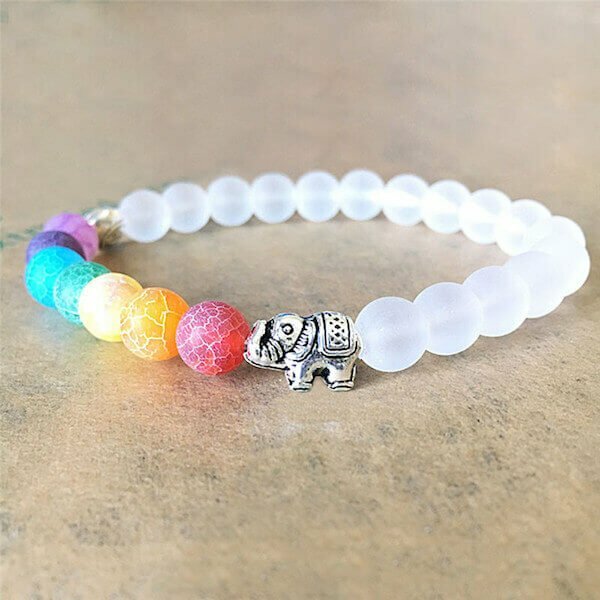 These bracelets do not require much effort to use as compared to meditation or yoga. They are simple to use. They are perfect for achieving psychological and emotional stability within a short time. 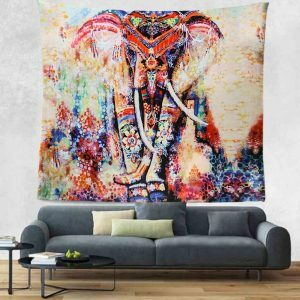 They also produce optimal results when used alongside yoga or meditation. 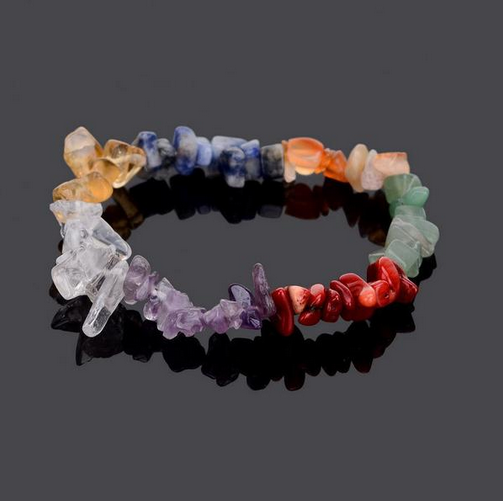 Chakra bracelets should be kept clean and foreign debris removed so that they don’t interfere with the energies. 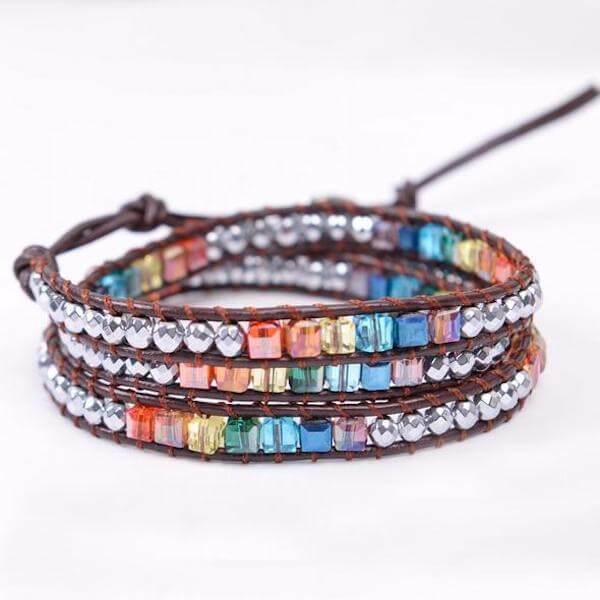 Wearing these diffuser bracelets regularly will make you feel purified, rejuvenated, enlightened and balanced at the same time. The first gemstone is called Muladhara. It represents the basic needs and therefore gives stability. The second gemstone represents Svadhisthana and is the epicenter of our creativity and sexual part. The third gemstone Manipura symbolizes our level of voracity to personal power and our self-esteem. 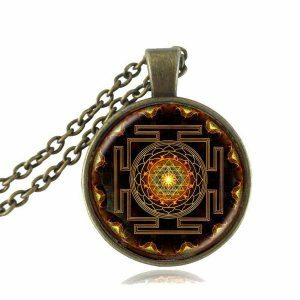 The fourth gemstone known as Anahata or the heart is our main derivation of love, relationship to other people and the world around us. The fifth gemstone Vishuddha preferred name is throat chakra is the one that helps us speak our innermost truth and the deepest emotions. 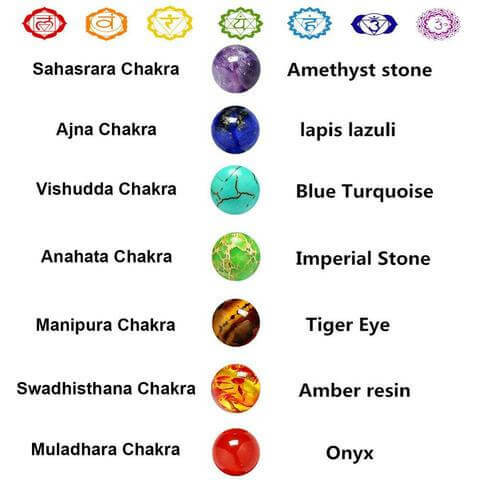 The sixth gemstone, the Ajna or the third eye and is all about intuition. 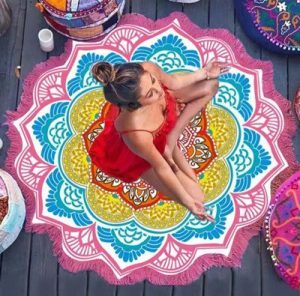 Everyone has it but to connect we must have to keep this chakra open. The seventh gemstone is the Sahaswara chakra and is found at the top of the head. 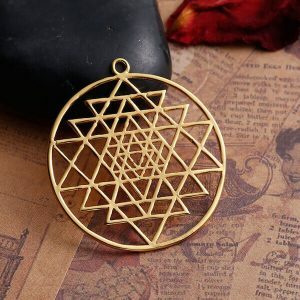 It is responsible for spiritual connection and self-awareness. 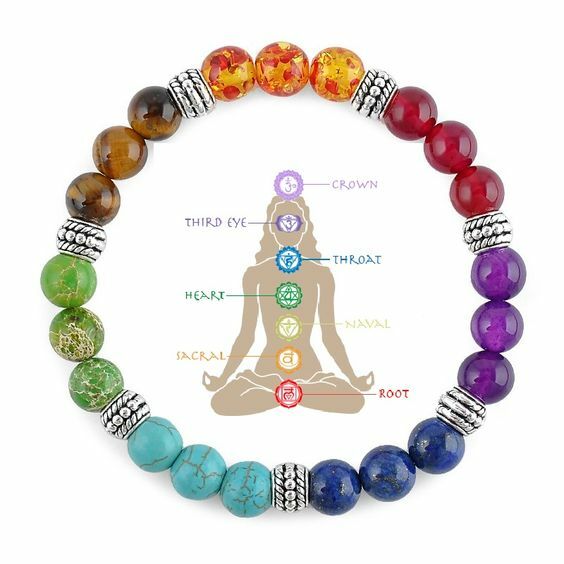 Chakra bracelet meaning of each gemstone gives us the awareness to know how to balance the seven energies and keeping them open. 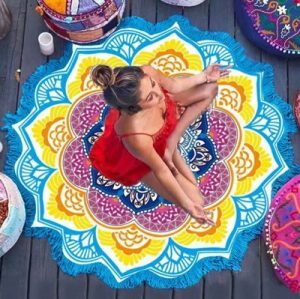 It is essential to know that you must have a sense of faith in its healing ability in order to keep a good sense of awareness and get positive energy.